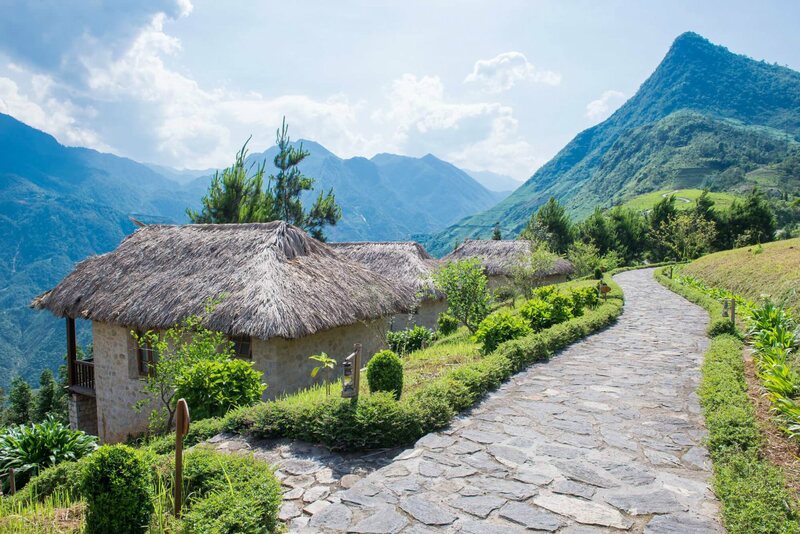 Located in a remote region in northern Vietnam, the Topas Ecolodge could just be the ultimate off-grid getaway. Set in an idyllic location with stunning views of the lush green mountainside, the sustainable complex offers 33 one-bedroom bungalows constructed from local white granite quarried from the surrounding mountains. 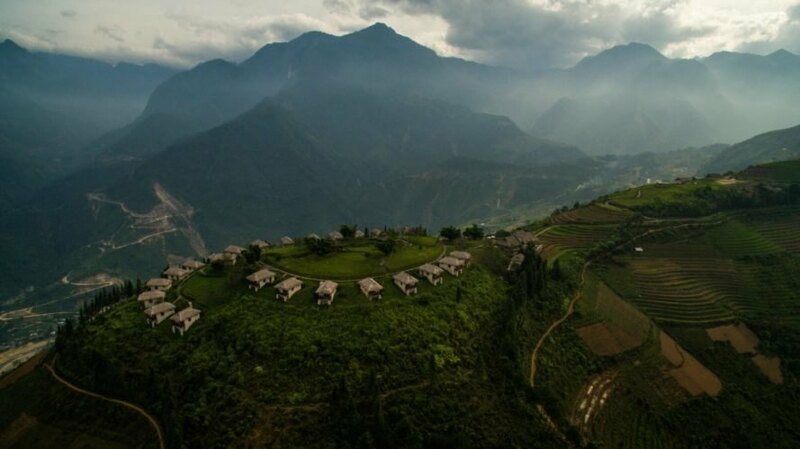 The lodge is located in the remote village of Sapa in northern Vietnam, deep in the Hoang Lien Son mountain range. The area is quite popular for tourism and many people come to visit the traditional hill tribe villages found in the area. In the past, visitors to the region would stay in the villages, but as tourism grew, the area was in dire need of a sustainable lodging option that would not take away from the idyllic surroundings. 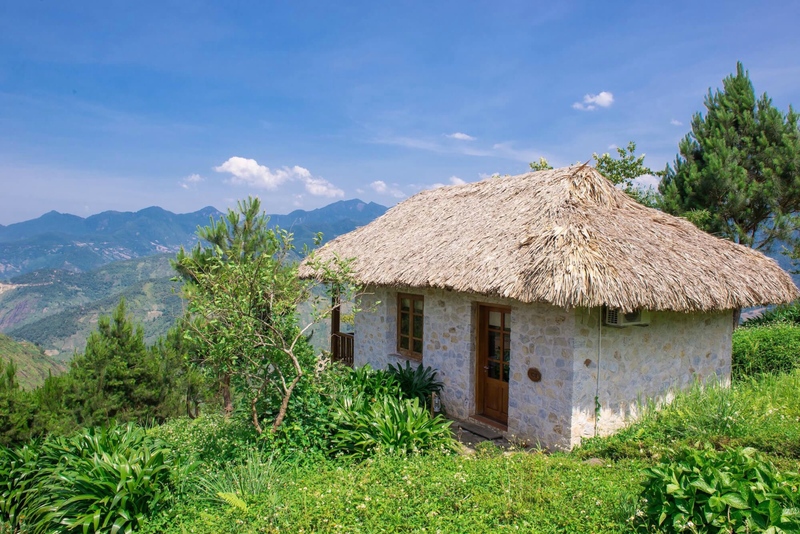 The Topas Ecolodge was designed to provide rustic, but comfortable lodging that blends into the landscape. Situated atop two cone formed hills, the project’s construction was based on sustainable principles in order to create as low impact on the environment as possible. The 33 one-bedroom bungalows were all made out of locally-sourced granite quarried from the nearby mountains. Additionally, the complex has an innovative wastewater facility that was designed to avoid pollution of the surroundings. Additionally, the goods and products used in the lodge are all found locally. Created as a wellness retreat, thee bungalows have no TV and no internet. Visitors can spend their time hiking or biking through the mountainside and when they’re ready for a bit of relaxation, the infinity pool offers breathtaking views of the mountainside. 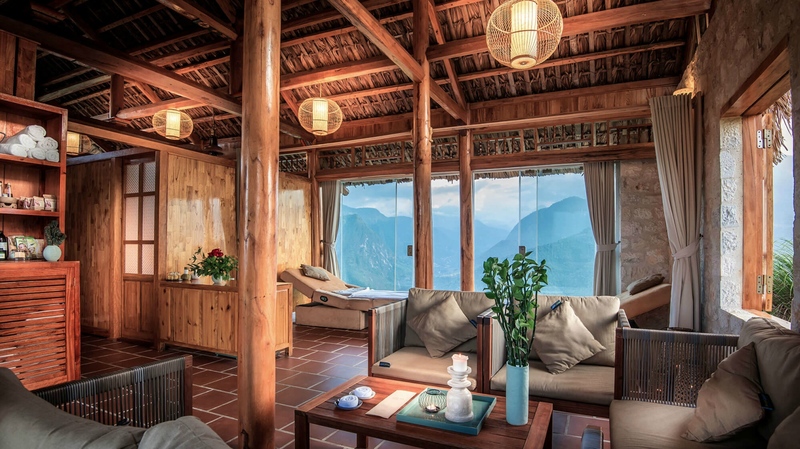 Additionally, there is an onsite spa that specializes in the traditional Red Dao herbal bath. 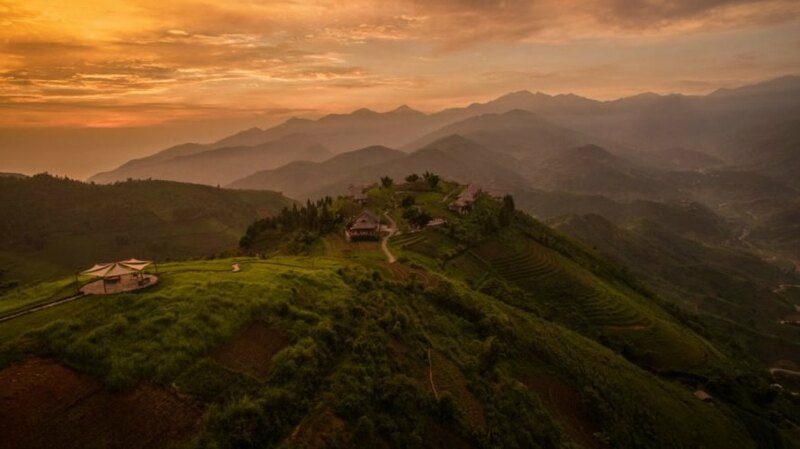 The lodge is surrounded by the , Hoang Lien Son mountain range. The area is quite popular for tourism and many people come to visit the traditional hill tribe villages found in the area. The bungalows are made out of locally-sourced quarry stone. There are 33 one-bedroom bungalows on the property. Each bungalow offers stunning views of the scenery. The Topas Ecolodge offers stunning views of the mountainside and rice fields. In the past, visitors to the region would stay in the villages, but as tourism grew, the area was in dire need of a sustainable lodging option that would not take away from the idyllic surroundings. 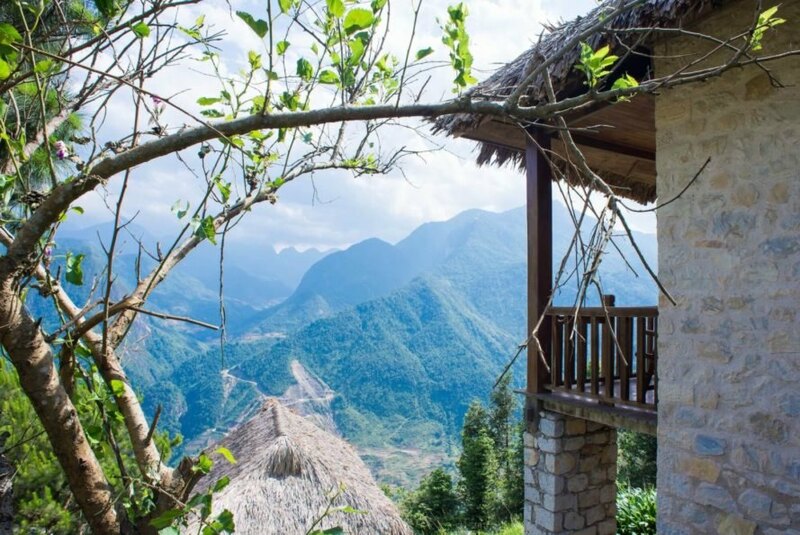 The Topas Ecolodge was designed to provide rustic, but comfortable lodging that blends into the landscape. The main cabin is set up for socializing. Situated atop two cone formed hills, the project's construction was based on sustainable principles in order to create as low impact on the environment as possible. Regarding materials, the 33 one-bedroom bungalows were all made out of locally-sourced granite quarried from the nearby mountains. The complex has an innovative wastewater facility that was designed to avoid pollution of the surroundings. 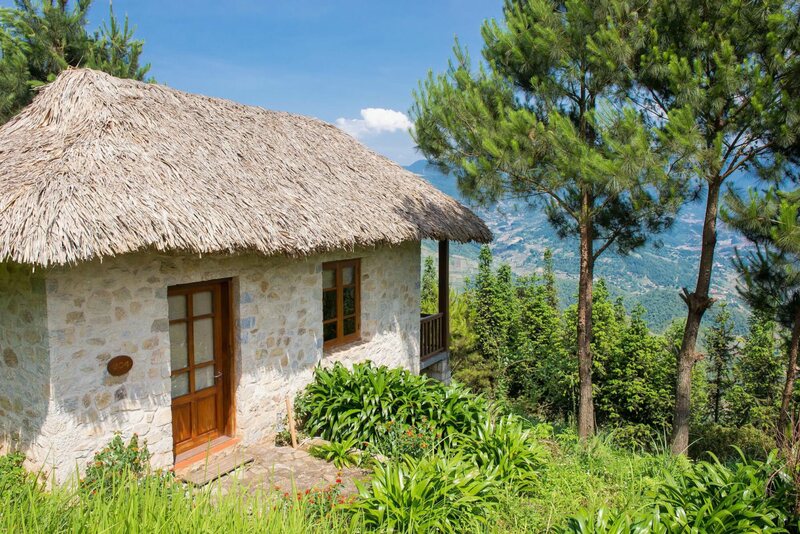 Created as a wellness retreat, thee bungalows have no TV and no internet. The main house of the Topas Ecolodge. Visitors can spend their time hiking or biking through the mountainside. The scenery that surrounds the Topas Ecolodge is simply breathtaking. 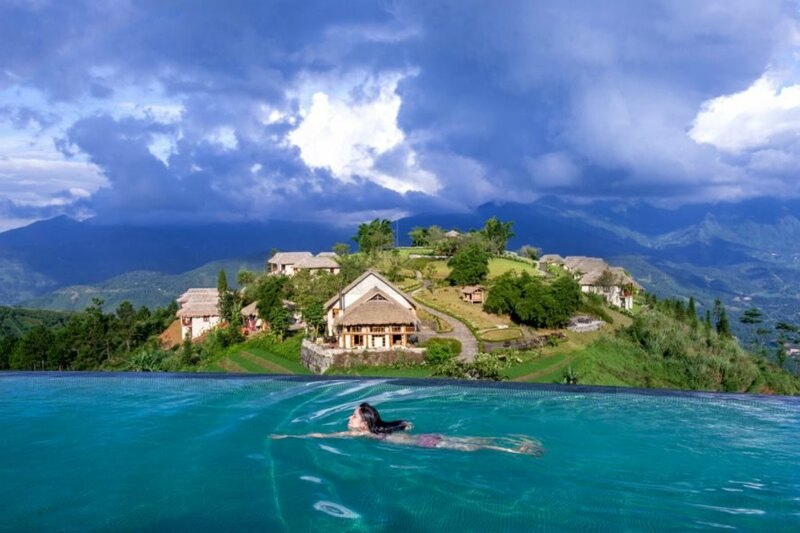 The swimming pool offers stunning views of the surroundings.